Now with Pegasus Unicorn Comfort Fit Technology. The length, width, & points of this tree flex and conform around the horse’s shoulders and back with girthing and the rider’s weight. The tree follows the horses shape at rest and during each movement, providing freedom for the shoulder and maximum comfort! Incredible close contact feeling! 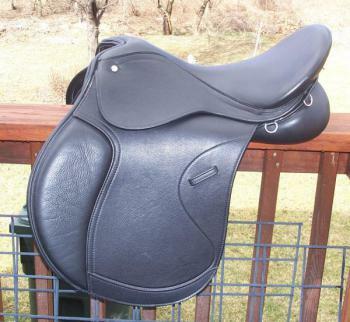 Pre-Broken in Leather- Repeat- Pre-Broken in Leather - THE FEEL OF A GREAT USED SADDLE - IN A BRAND NEW SADDLE!- BUY TODAY -SHOW TODAY!